– Handle with Click/Touch.. events. We will use Visual Studio 2012, you can able to get Visual Studio Express 2012 for Windows 8 free of charge from this link. 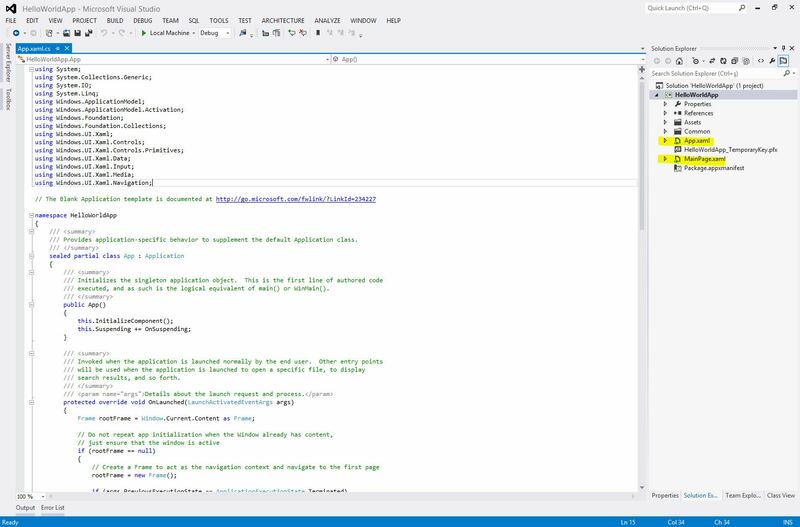 Let”s open Visual Studio 2012. Start page fronts us at the first hand. If you do not see any Start Page, you can enable it by selecting from View tab on the toolbar. As you can see, there are many useful things on start page. You can access the free resources from MSDN and such. 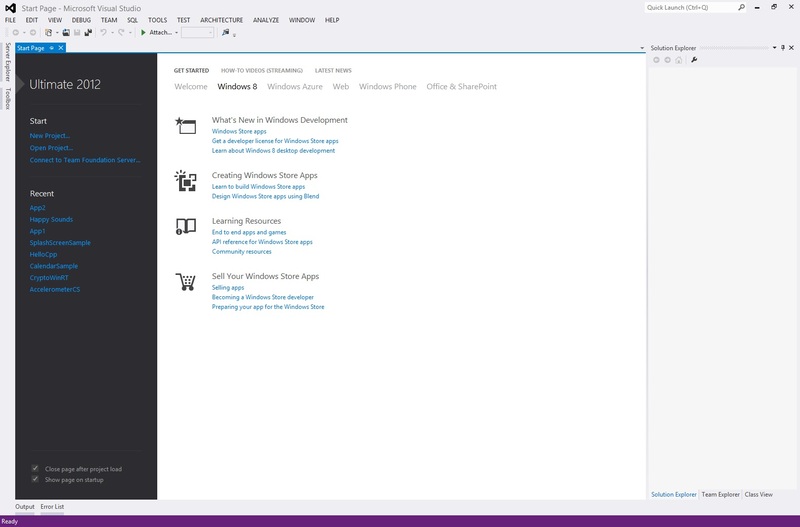 Now, we are going to select New Project..
We have to select Windows Store and then Blank App. You can name your app and change the location of contents of the app. Click OK button. Now we are able to see MainPage.xaml and App.xaml pages in Solution Explorer window(If you don’t see the Solution Explorer Window, you can enable it from View tab). 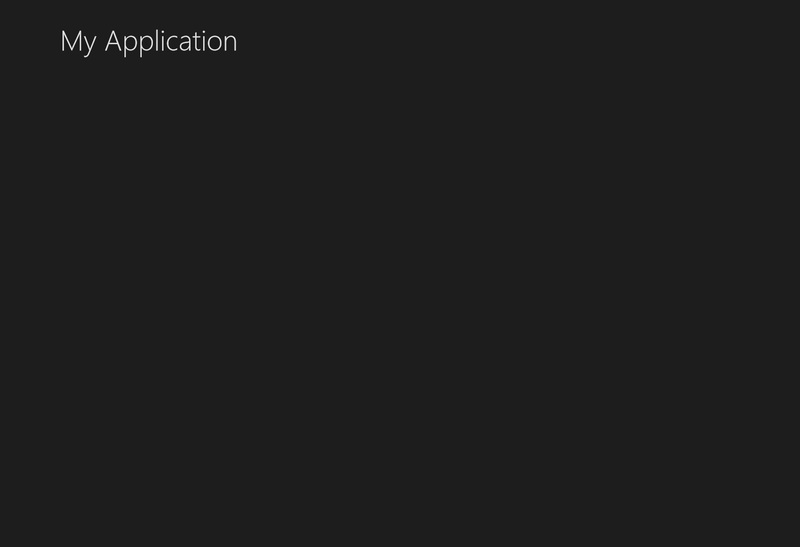 Alright, MainPage.xaml is the page which you see firstly when you run your app. 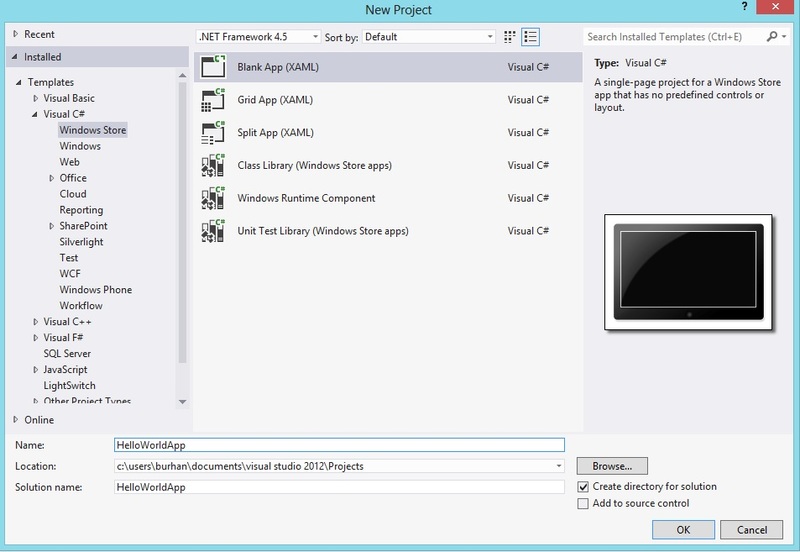 App.xaml is where you express resources which are used in the app. We are going to replace our Blank Page( We selected it while creating a new project ) into Basic Page, because Basic Page gives us chance to change style of our app ( Includes some helper classes ). 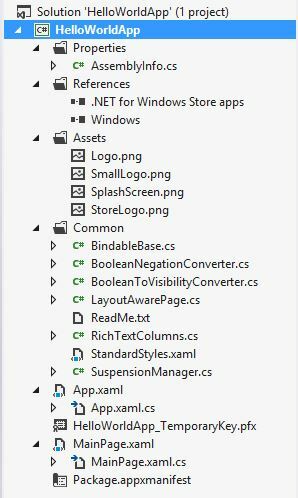 – In the Solution Explorer window, find MainPage.xaml file, right click and delete it. 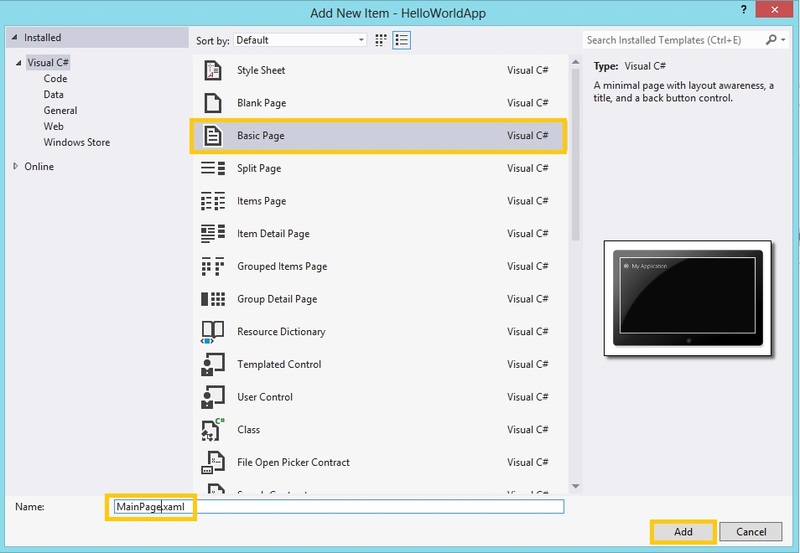 – Select Blank Page, name it as MainPage.xaml, then click add. Now you can see the additional classes right below the Common folder in solution explorer. Then if you press F5 button, you will get the same as below. While you are taking a look at codes both in MainPage.xaml.cs and App.xaml.cs, you may ask the code what InitializeComponent() does in the our constructor methed. 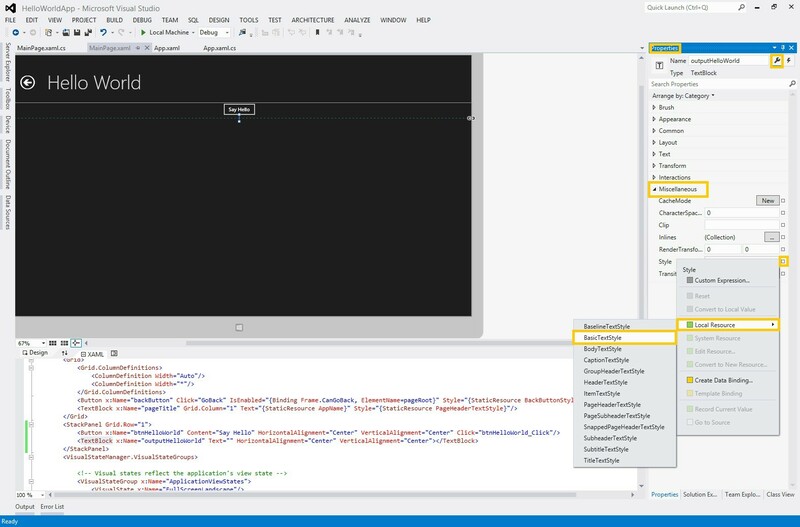 Well, this code combines your design page ( xaml ) with your code page ( xaml.cs ). 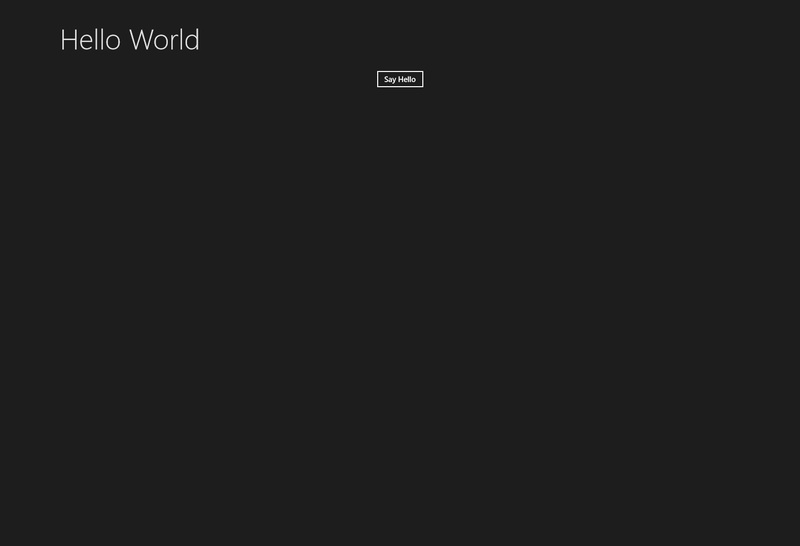 After all, it makes you be able to see the MainPage.xaml. 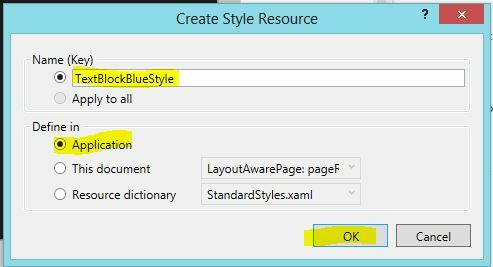 As you can see StandardStyles.xaml is declared as source of ResourceDictionary. This is the style that makes our app as Metro Style. Paste this code just before <VisualStateManager.VisualStateGroups> tag. Press F5 button. You will see the same page like the picture below. If you click the Say Hello button, you see that doesn’t work. It is because we haven’t assigned any event into the button. Now tap the button, then go to properties window and click , double click the highlighted place . We are in the method of related event. We can run our application now by pressing F5. Firstly there are two themes, light and dark. By default the dark one is active. We can adding the following code into our App.xaml page. Copy the last line, and paste into your code like as above. Then press F5 to see the changes. Let’s change the style of the TextBlock. Remember we mentioned before about StandardStyles.xaml . The text is not suitable enough for comfortable reading. We will increase the font size, but how?.. Ok, select the TextBlock from design. You may not be able to select it from MainPage.xaml ‘ s design. – Find the text block we added it before. Double click on it. – Go to properties window, expand Miscellaneous. 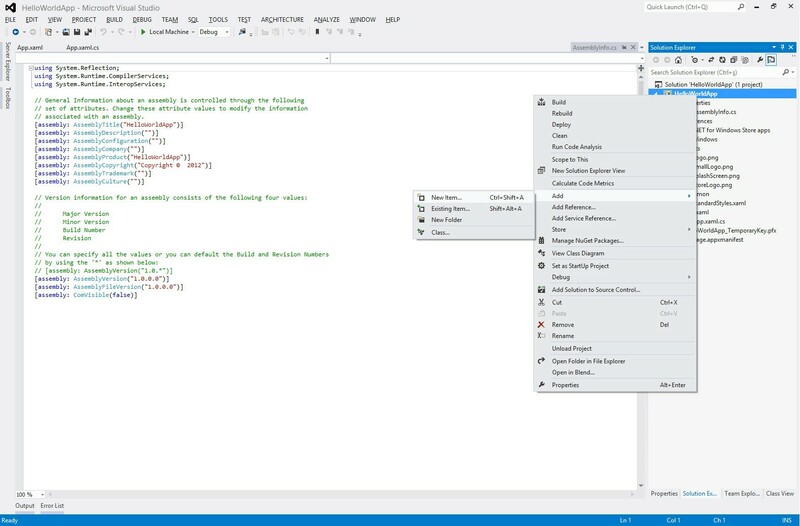 If you debug it, you can see that the text is more like Metro UI when you click the Say Hello button.There is a code occured after these in the TextBlock in MainPage.xaml. Name it, select Application, then click OK.
You will see your screen close to the image below. We are done for this post I hope you enjoyed with what you learned from this tutorial.